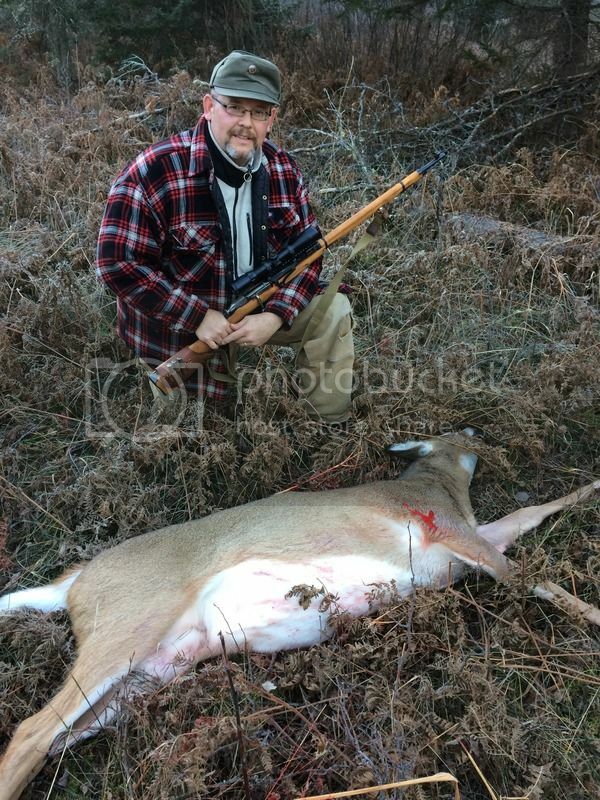 Got my first buck with my 1934 Mosin Nagant. It has a Brass Stacker scope mount and a Bushnell scope. I was not in the tree stand 5 minutes when this buck came looking for the grunter (me).